You certainly can't go wrong with these toys from JAKKS Pacific! 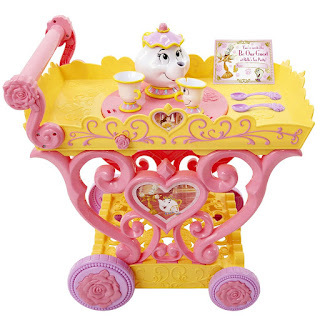 JAKKS Pacific Disney Princess Belle Musical Tea Party Cart is absolutely stunning and something that all little girls will have on their Christmas wish list this holiday season. The tea cart plays the iconic song, “Be Our Guest” from the movie, Beauty and the Beast! This is the absolute best tea cart I've ever seen and sure to please any little girl! are restored and sparkle on Elsa's dress! 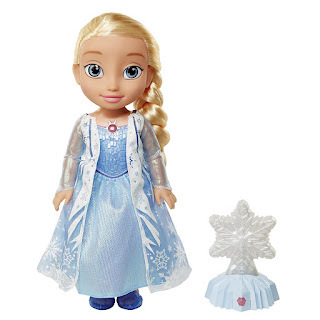 Frozen is still as hot as ever in my house which consists of little girls and I can't even tell you how happy my daughter was when she saw this Frozen Northern Lights Elsa Doll from JAKKS Pacific. This doll is so fun and sure to bring many smiles to kids everywhere this holiday season! Star Wars Death Trooper from JAKKS Pacific is so cool! Straight out of the new Star Wars film Rogue One comes this Star Wars Death Trooper standing tall at 20 inches. This is a must have for all Star Wars fans big and small! The Death Trooper features 7 points of articulation for fully poseable action and includes 2 blaster accessories to eliminate those who stand in the way of the Empire. 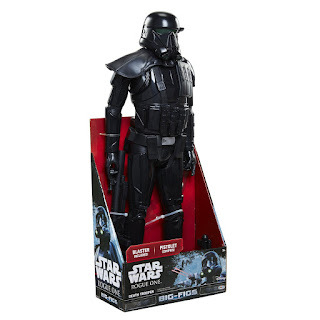 Star Wars Death Trooper from JAKKS Pacific is definitely a must have this holiday season and is sure to sell out quickly!